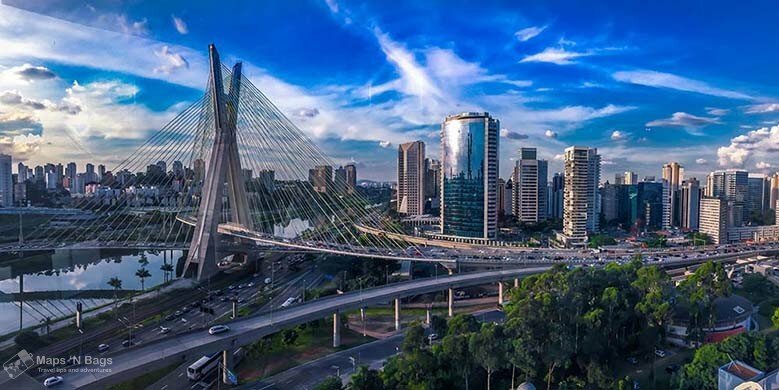 Sao Paulo is one of the biggest cities in the world and the biggest in South America! Yes, it is a huge city so you’ll find a lot of things to do there. This vibrant concrete jungle houses more than 12 million people, having the largest Italian and Japanese communities in the world outside their homeland. I’m a living example of it: I’m Brazilian, but my father’s family is Italian. Yes, I was born and raised in this huge city! I have to admit I miss the busy streets of Sampa (a sweet nickname Brazilians gave to the city). 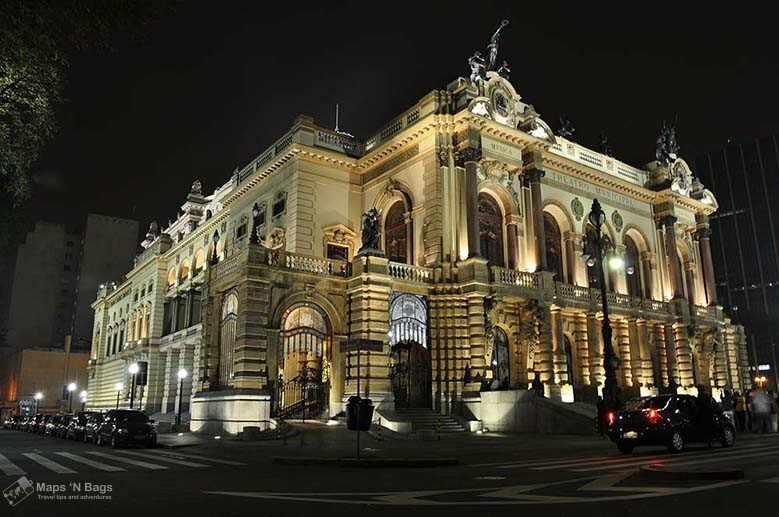 Brazil’s financial and cultural center has a lot to offer to tourists. There are many things to do in Sao Paulo and even better, for all tastes! Today you’re lucky: you have a local to help you out with the best tips about this cosmopolitan city. Welcome to Sao Paulo! Hey, looking for more tips for your next trip to Brazil? Check out some of our other posts below, or click here to find all of our Brazil posts. 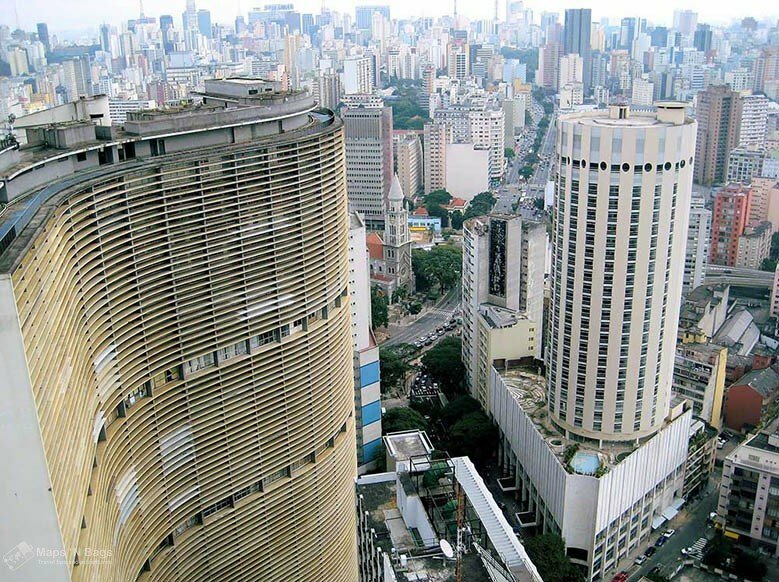 One of the most important avenues in Sao Paulo, Paulista Avenue is modern and gorgeous! I’ve heard many times that it reminds people of Fifth Avenue in New York. It has 2.8km of high buildings, interesting stores, good restaurants and a lot of cultures. I loved to kill some time at the Livraria Cultura at the Conjunto Nacional, a fantastic store for books lovers. The historic cultural center, Casa das Rosas, is also a beautiful place to check out in the middle of so many buildings. The mansion houses many workshops, theater performances and much more! 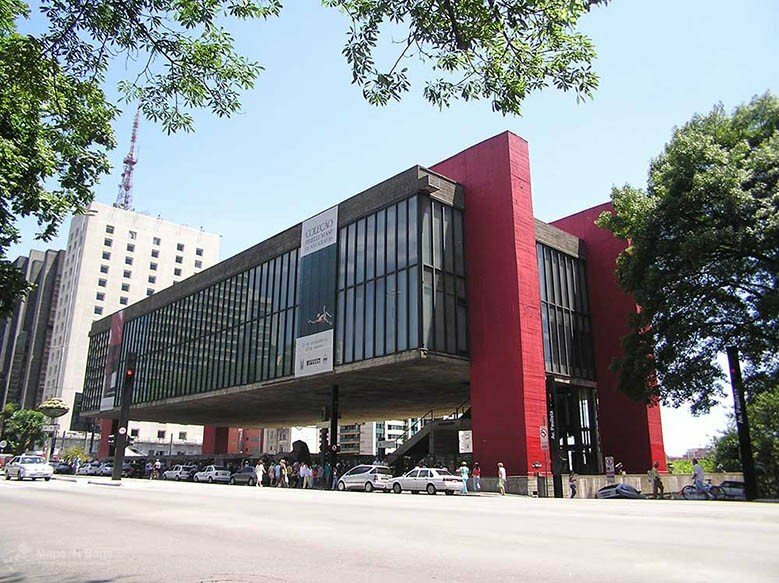 Talking about culture, the Sao Paulo Museum of Art – MASP, is located on this avenue, I’ll talk about it in a minute! Anyways…stroll along Paulista Avenue, it has such an incredible atmosphere, you won’t regret it! On Sundays, no cars are allowed there, so pedestrians can freely walk on the street (bikes and skates are also allowed). 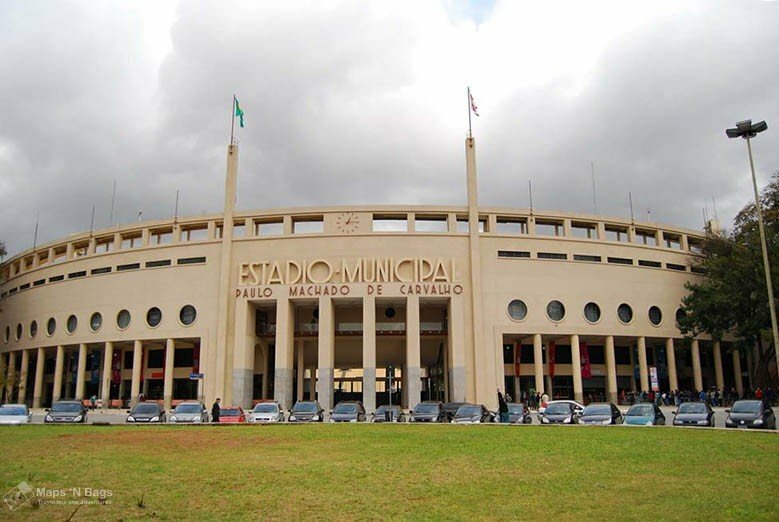 Ps: People who are born on the estate of Sao Paulo are Paulistas. This is the most famous postcard of Sao Paulo and has an iconic construction to be appreciated. The museum showcases Brazilian prints and drawings, a smaller collection of African and Asian art, and the most important European collection from different periods in the Southern Hemisphere. Even though Brazil has a short art history, if compared to European countries, Sao Paulo houses many excellent museums. Many of them are among the best in South America. In this article, I’ll name some of them, however, check out this other article for a complete Sao Paulo museum’s guide. It has all the information you need to visit the best museums in the city! Ps: There is an antique market underneath it every Sunday from 10 am to 6 pm. Whenever I say to someone I’m Brazilian, the next question is, in 90% of the cases, related to football. As a result of many extraordinary matches in the World Cup (and others not so good, right, my German friends? ), a lot of people associate Brazil with football. 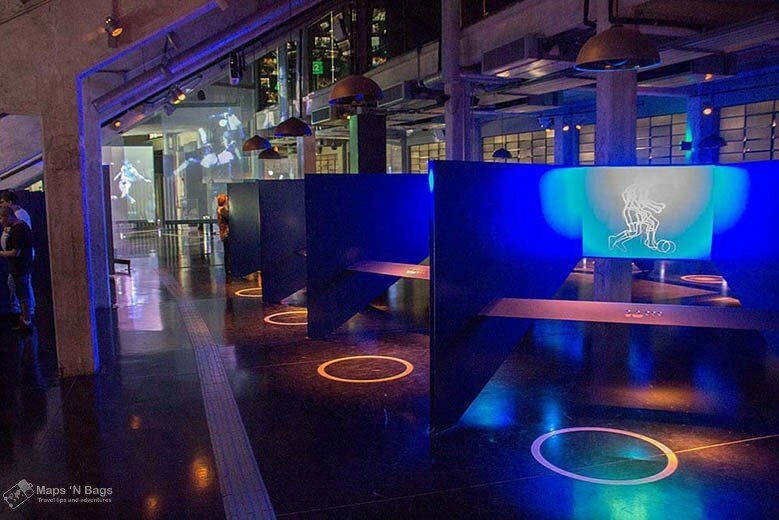 So what better place to visit a football museum than Brazil? 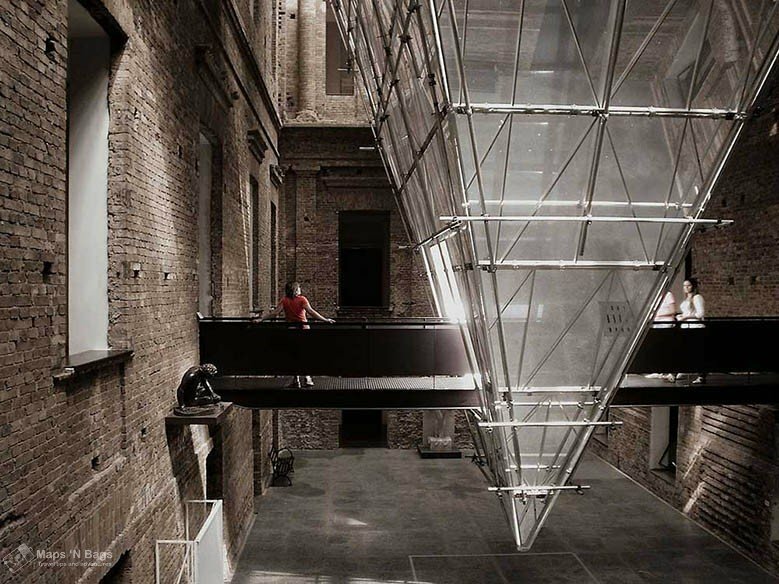 Check out this interactive and inexpensive museum. 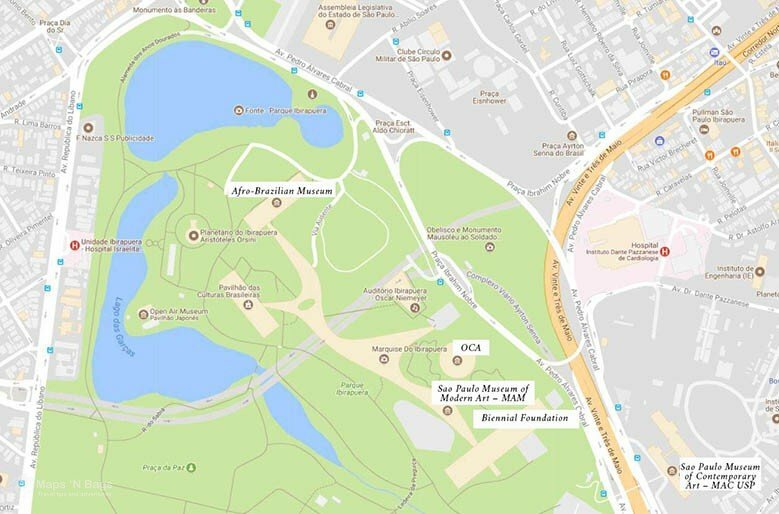 One of the largest city parks in Latin America, Ibirapuera Park is among the 10 best parks in the world. 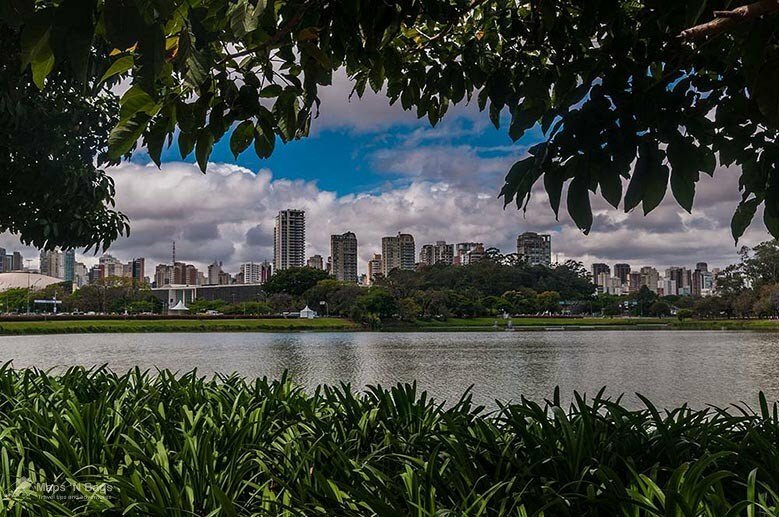 Many friends said Ibirapuera reminds them of the Central Park in New York. It has a music hall, museums, and a huge leisure area. A perfect place to relax in the middle of so much concrete or to enjoy cultural activities. I love this park and I don’t know anyone who didn’t enjoy drinking something while sitting in the grass, paying a visit to one of its museums or watching young people on rollerblades and skateboards in the Ibirapuera Varanda. By the way, the Varanda (Marquise) is among a couple of museums, which I’ve explained better in the museum’s guide. The main museums are listed below. The largest Afro-American museum in the American continent. The museum approaches different themes of the African and Afro-Brazilian culture, such as religion and art. One of the largest museums in Brazil, the MAC (Museu de Arte Contemporaria) houses high-quality contemporary works of art of all Latin America. If you enjoy this kind of art, this is a must! Take your time to appreciate everything, however, if you’re in a hurry, choose the floor that appeals you most. 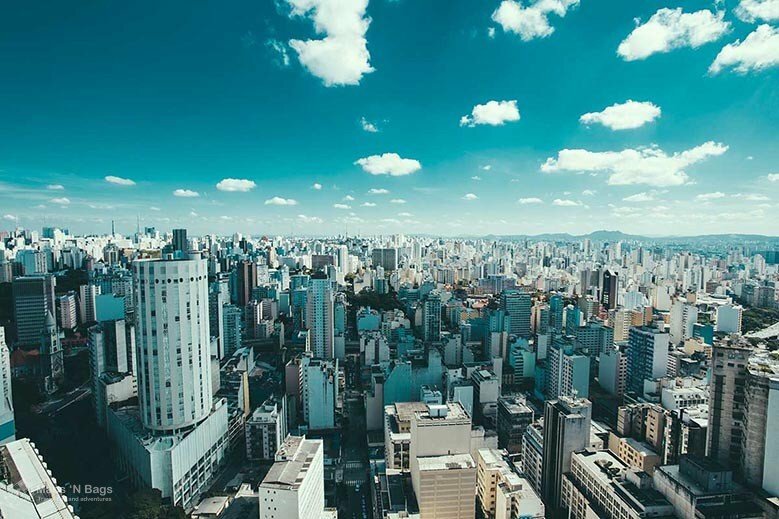 Don’t miss the panoramic view of Sao Paulo on the top floor. It’s breathtaking! Brazil’s beautiful nature is what attracts millions of tourists every year, and this garden is a gorgeous place to admire that. 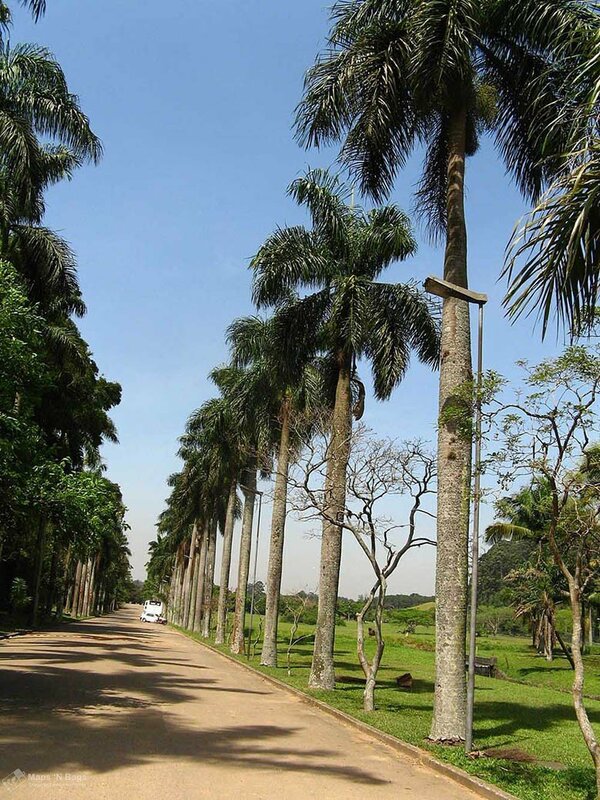 This well-cared park spans a 165-hectare area of Atlantic Forest and has a variety of plants, such as palm trees, ornamental and aquatic plants. It’s really an oasis in the middle of such a big city! Take some food with you and make a relaxing picnic in the garden! Opening times: Tuesday to Sunday and Holidays from 9 am to 5 pm. Tickets: adults pay R$10 (around $3). There is a discount for students/ 60+. Children up to 4 years old don’t pay. Address: 3031 Miguel Estefano Avenue, Vila Agua Funda. At Sao Judas Metro Station (Line 1 Blue) take the bus 4742-10 heading to Jardim Climax (the direction to go back to the station is Metro Sao Judas) or the bus 475R-10 heading to Jardim São Savério (the direction to go back to the station is Parque Dom Pedro). Ps: If you’re also visiting Rio de Janeiro, don’t miss the amazing nature spots in the city, like the Parque Lage. Or even better, hike up Pedra da Gavea. A little bit out of the center, but totally worth it! 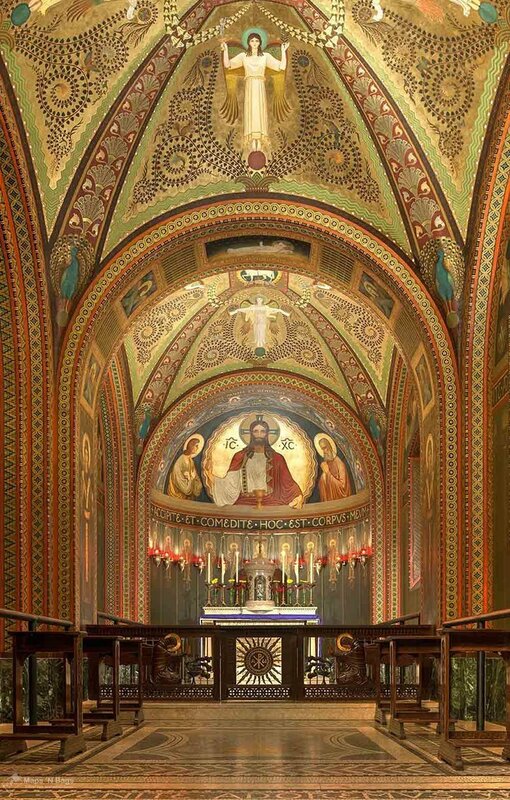 This church has an impressive interior and its ceiling is quite exceptional because some of the paintings are a reproduction of those in the Sistine Chapel. Architecture-wise, this church has a mix of Baroque and typical Brazilian colonial style, full of tiles. You won’t regret it! 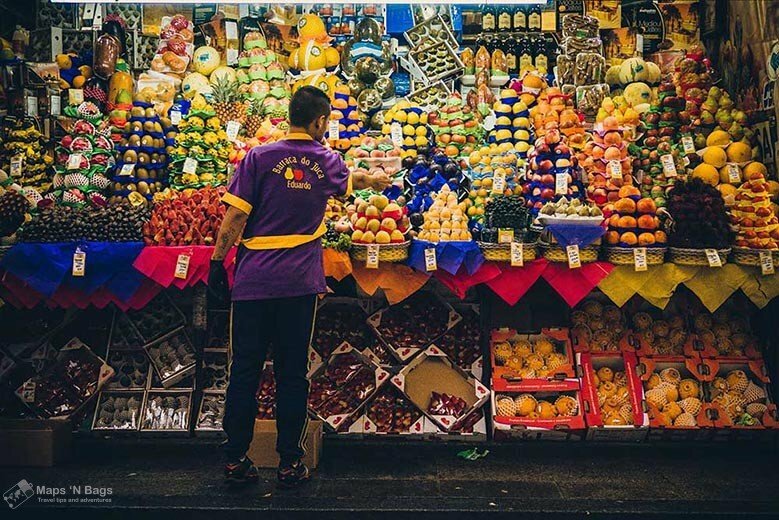 The most traditional Italian neighborhood in Sao Paulo hosts many delicious cantinas, restaurants and the Our Lady of Achiropita festival, which takes place every Saturday and Sunday evening in August. 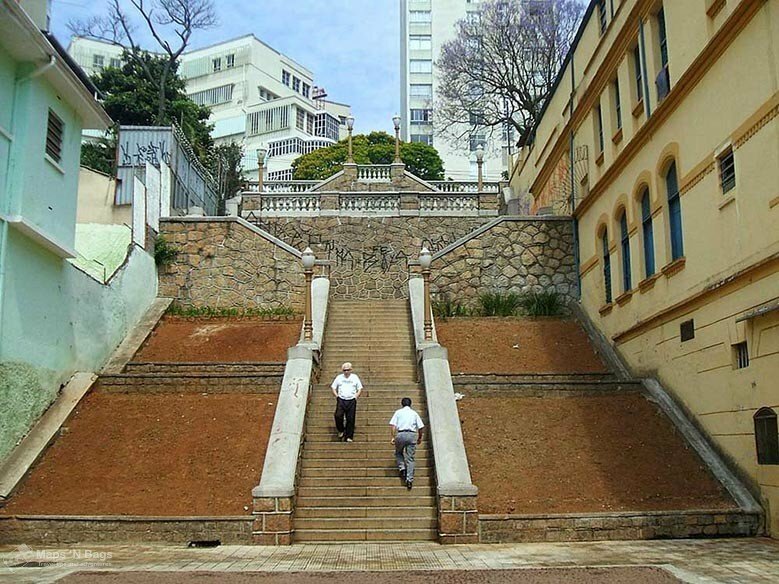 This neighborhood is located among the Major Diogo street, Nove de Julho Avenue and Brigadeiro Luis Antonio Avenue. 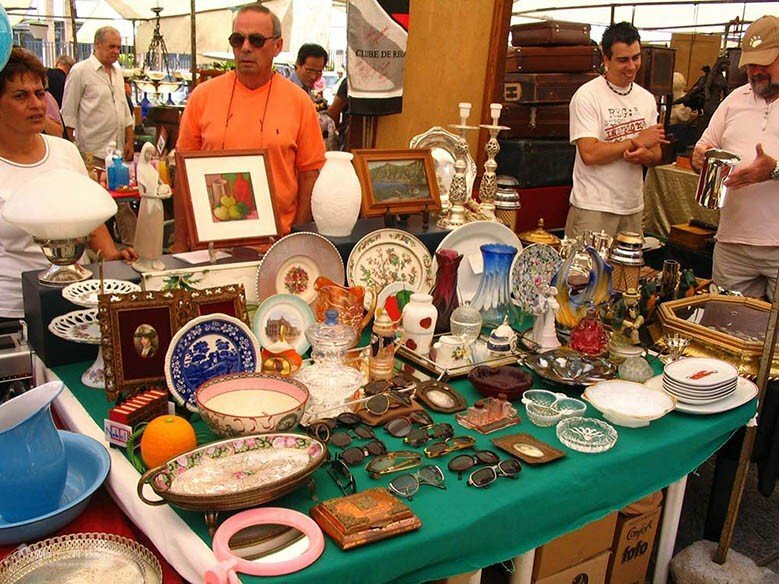 An antique fair takes place every Sunday on Dom Orione square, from 8 am to 6 pm. Around 1912, the Japanese community started growing in this area and today it’s the biggest concentration of Japanese people outside Japan. 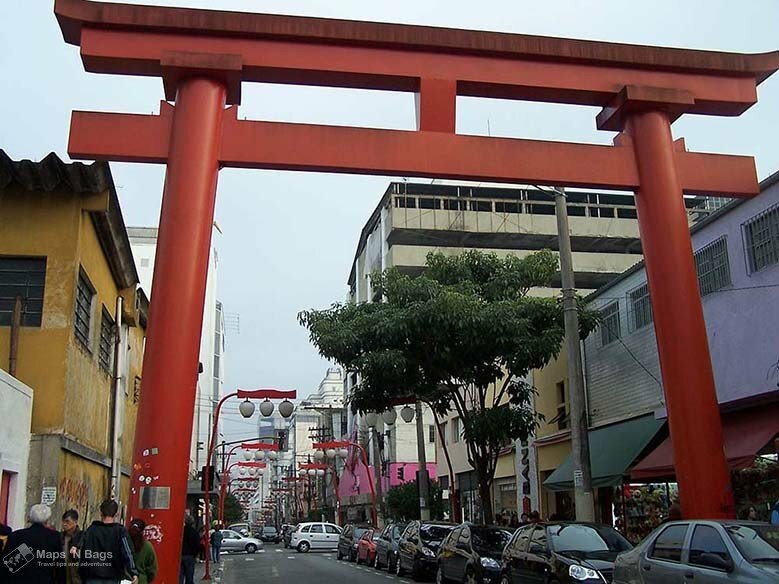 The entrance of the neighborhood has a torii, a Japanese arch, the streets have those red oriental lamps, and is full of Japanese restaurants and stores, of course! I went to college in this neighborhood and we would often pay a visit to many sushi bars in the region. There is a small Japanese Garden, which only opens on Saturdays. It’s tiny, but if you’re there, why not pay a visit to it? Se Cathedral has a Neo-gothic European style, but with Brazilian traditions. I find it very interesting and imposing. The cathedral is located on Se square, city center. Sao Paulo’s zero milestone lies in the middle of this square, this is a reference point for street numbers in the city. 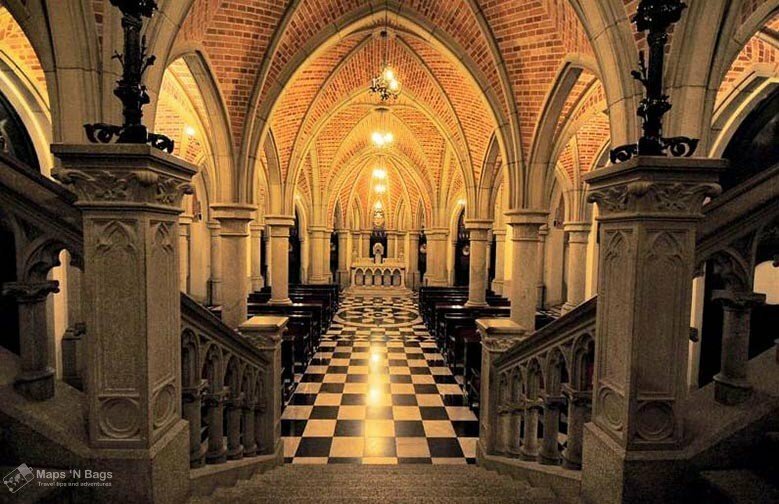 To visit the crypt, which is almost as big as the whole cathedral’s underground, ask at the administration desk. 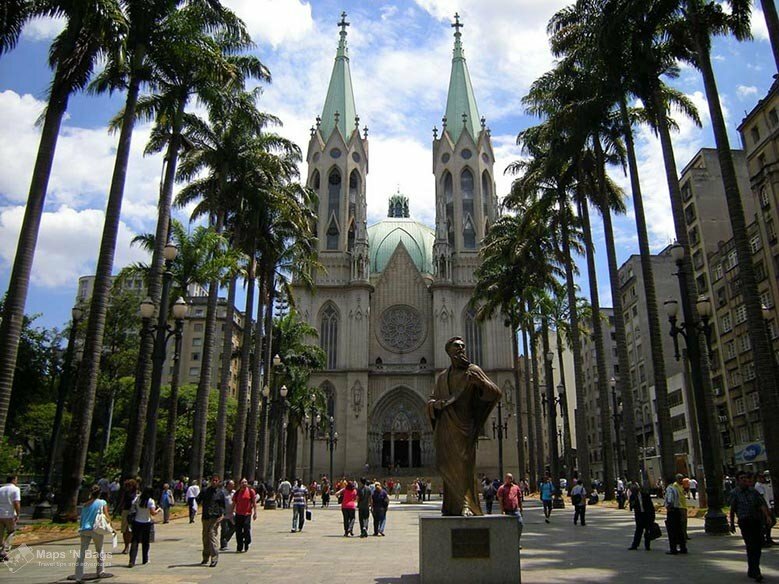 The palm trees and the cathedral make a perfect photo, and this is a must-see, however, it must be said that Se square is not the greatest area of Sao Paulo. I felt unease to take my camera there as a lot of homeless people lay nearby. If you want to have a view of the city center from above, go up in the Copan building and enjoy the panoramic view. Designed by Oscar Niemeyer in the 1960s, this 118-meter-tall building has 1.160 apartments! It’s a huge concrete wall with a great view of this city full of diversity! (Free, yaay) Visitations occur twice a day at 10:30 am and 03:30 pm, Monday to Friday. Ps: Go to Dona Onça Bar on the ground floor of the building. They have good coxinhas and caipirinhas! Inspired by the Palais Garnier of Paris, this gorgeous theatre houses the Lyric Choir, the City Ballet, and the Symphonic Orchestra. You can watch a concert or make a one-hour tour of the building to learn more about the construction and its importance. To enroll for the free tour, arrive one hour earlier and register next to the box office. The visit in English takes place from Tuesday-Friday at 11 am, and on Saturday at 12 pm. The itinerary and timetables can change according to the artistic agenda. 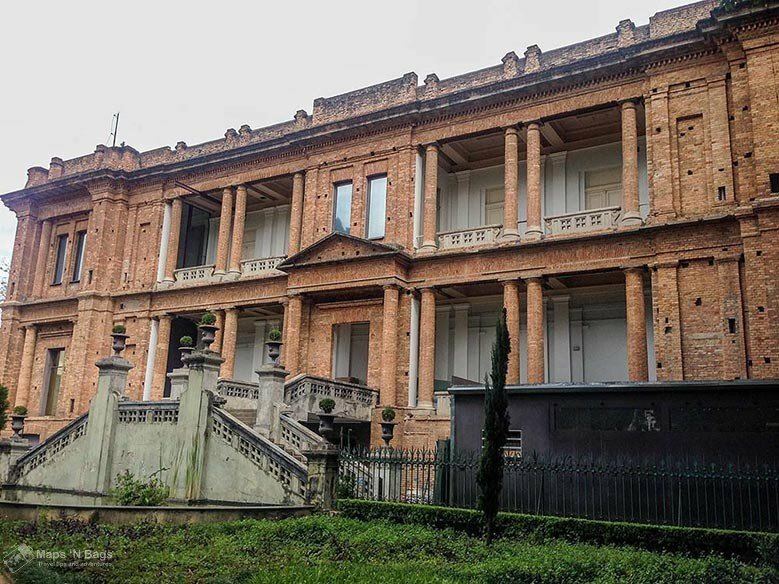 The oldest art museum in Sao Paulo and one of the most important museums in Brazil, the Pinacoteca houses international and national sculptures and paintings of the 19th-century, and Brazilian modern art. Even though Brazil has a short art history, if compared to European countries, this small gem has an extensive collection of Brazilian art. 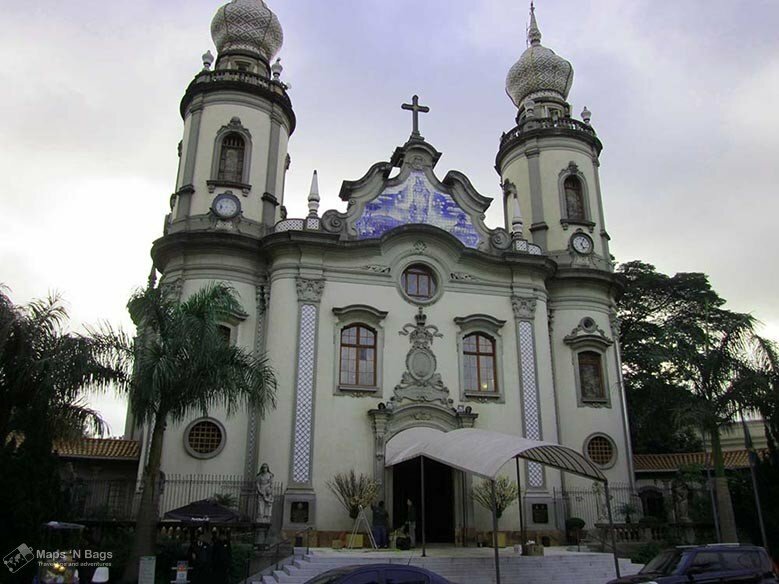 Located in downtown Sao Paulo, this traditional place has powerful and incredible Gregorian chants! The monks also bake delicious bread and cakes, check out the bakery, it’s famous in the city! Even if you’re not religious, this historic place is worth your time! It’s a relaxing experience in the middle of the hustle of Sao Paulo. Sunday masses are very popular here. A big historical market in downtown Sao Paulo, the Municipal Market of Sao Paulo is full of stands selling local fruits, vegetables, meat, cheese, etc. Go up in the mezzanine for the biggest mortadella sandwich of Sao Paulo! They also have delicious pastels too. Despite the dodgy neighborhood, the place is a must-see to experience the Brazilian culture and food. Can be pricey. Opening times: Monday to Saturday from 6 am to 6 pm. Sundays and holidays from 6 am to 4 pm. 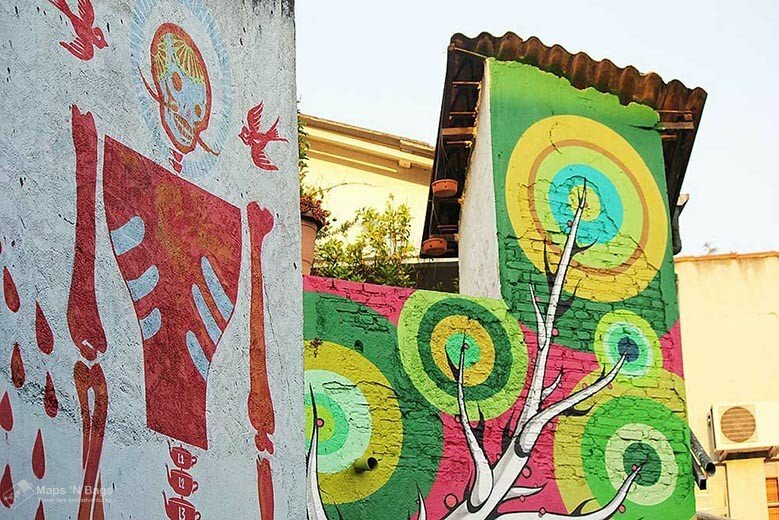 This hidden treasure of Sao Paulo art street is a must go! 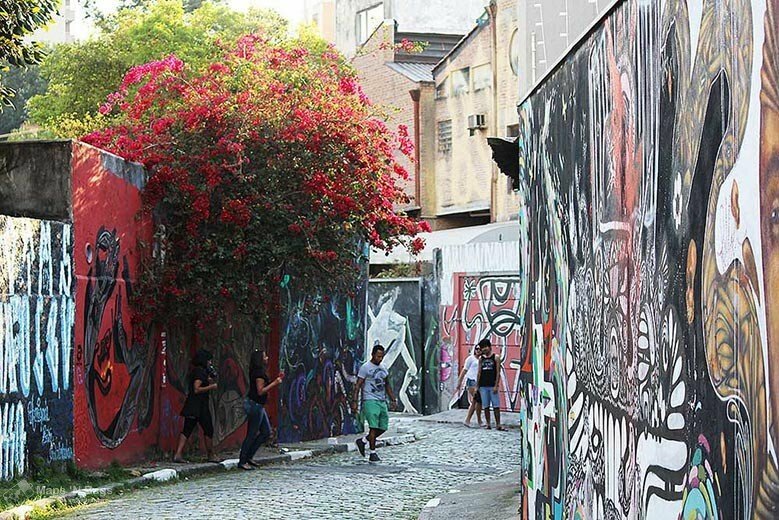 A small and underground alley which has plenty of beautiful graffiti’s and attracts lots of tourists every year. They keep changing the paintings from time to time, so if you’ve been there already, it won’t be the same next time. And the best part? The painters are really talented! Also, check out this hip and cool neighborhood, Vila Madalena is full of nice pubs and stores. Where? Goncalo Afonso street and Medeiros de Albuquerque street. Ps: The name comes from a graffiti of Batman painted in the 80s. 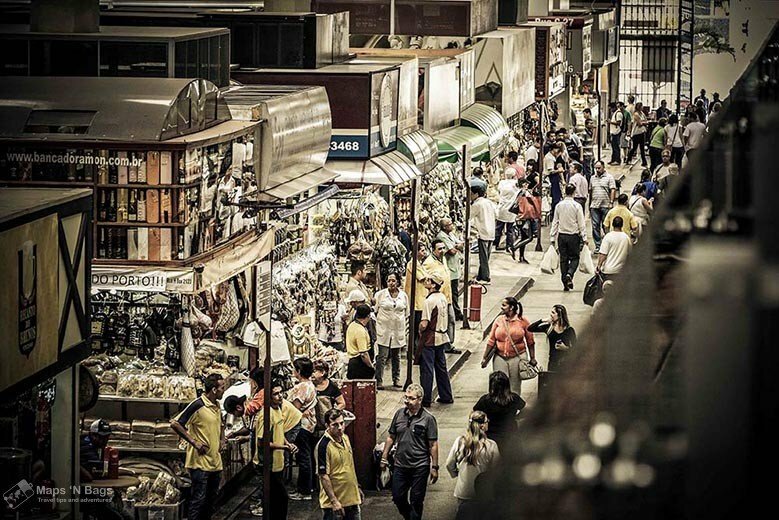 Brazil has marvelous (and a lot of) open-air markets, we call them “feiras”. One of them is Benedito Calixto market, this place has delicious street foods, antiques, lots of art, home-made articles and live music. Probably the most famous flea market in the city and surely the most authentic one! 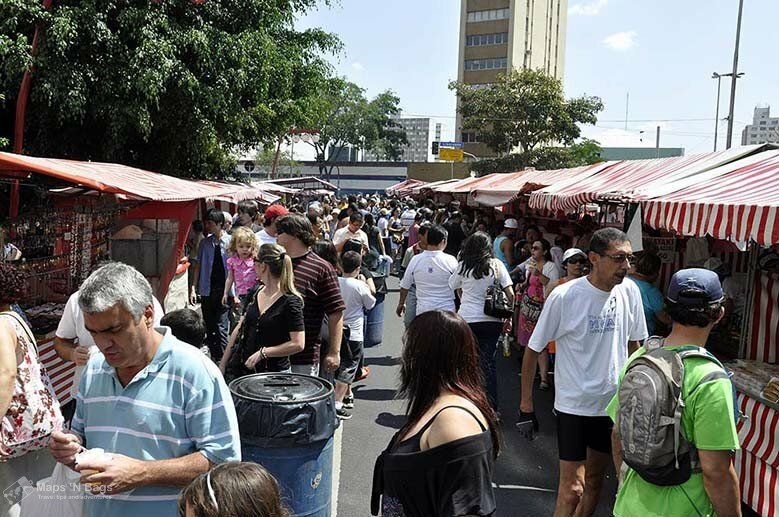 It opens on Saturdays from 9 am to 7 pm in the Benedito Calixto Square. You have probably heard about the delicious Brazilian fruits. Because we have space enough and climate to grow them, fruits are big, juicy and sweet. The best place to buy them are local neighborhood markets which usually take place in the morning during the week. Stroll around one of them and watch the sellers screaming the prices and discounts. If you aren’t fully awake yet, you will be in a minute! This is a genuine local experience, so if you see one, don’t forget to stop by! Veloso bar has the best coxinha in Sao Paulo! It’s so tasty that when I took my boyfriend there, he wanted to eat it every day, he just couldn’t avoid it! 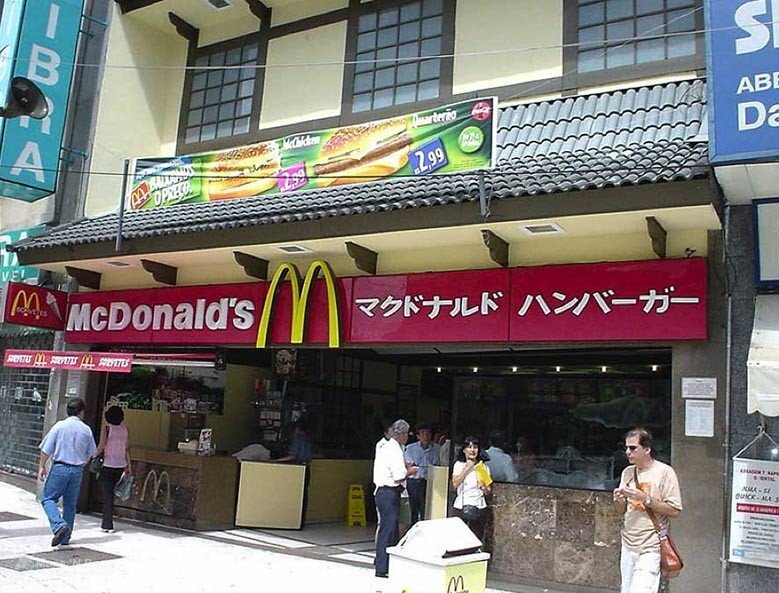 All my friends love this place too, so it must be good, right?! Also, they have delicious caipirinhas of all tastes. A great place to watch a football match (soccer for my American readers) while drinking cold beer. Opening times: Tuesday to Friday from 5:30 pm to 12:30 am, Saturday from 12:30 pm to 12:30 am and Sunday from 4 pm to 10:30 pm. Address: 54 Conceição Veloso Street, Vila Mariana. You didn’t visit Brazil if you didn’t go to a samba bar! The most traditional dance style in the country is not only a pleasant way to experience the local culture, but to feel the warmth of the South Americans! 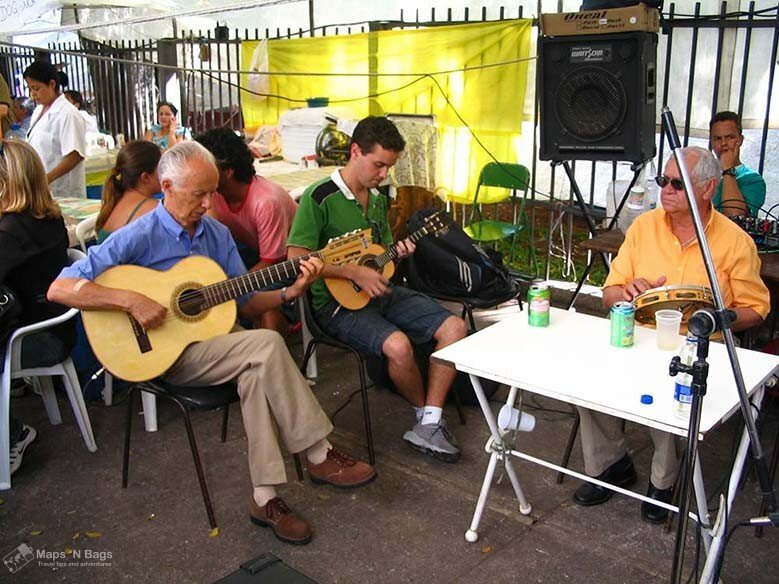 Bar Samba is located in Vila Madalena, the most bohemian neighborhood in Sao Paulo. If you can’t dance, don’t worry! People are there to have a good time, so they won’t look at you in a weird way. In fact, they might even try to teach you how to dance samba, as Brazilians are very sympathetic and welcoming people. Ps: I’m curious! What is the typical dance style from your country? Opening times: Wed (6 pm to 1 am), Thu (6 pm to 2 am), Fri (6 pm to 3 am), Sat (1 pm to 3 am). Address: 308 Fidalga Street, Pinheiros. Many people ask me for some security tips when they first go to Brazil, the negative news plays a huge role here. Sao Paulo isn’t as safe as many European countries, that’s true. However, the city isn’t a war zone either. Most part of the time you just have to keep an eye on your belongings, like you would do anywhere in this world. However, I feel unease to take my Canon to shoot some photos in some dodgy areas. Where exactly? Around the Se Cathedral, Sao Bento Monastery, Municipal Market and the Opera House. That’s the city center of Sao Paulo. This region has a high concentration of homeless/ drug addict people, which leads to higher crime rates. Nope! You definitely should visit those places because they’re gorgeous, however, don’t make yourself an easy target. Put your bag in front of your body, don’t wear your camera like a necklace or even expensive jewelry. And most important of all: don’t be afraid! These are just general security tips for many countries, you’re entering a beautiful city with a lovely culture. Enjoy it! Yes, you can drink it and you won’t get sick because of it. However, it doesn’t have a really good taste depending on the region. The currency in Brazil is Real (R$). The two closest airports are Congonhas Airport and Sao Paulo International Airport in Guarulhos. The latter is farther from the city center, but that’s where direct international flights arrive. There are shuttle buses (Airport Bus Service) from the airport to Paulista Avenue, Congonhas Airport and some other places in the city. When to go to Sao Paulo? Whenever you want! Being a tropical country, Brazil’s weather is good the whole year long. The winter in Sao Paulo starts in June, but it isn’t severe at all. It actually looks like summer in many countries. The summer is hot; however, that’s the best weather to have some beer, right? 😊 this is the rainy season though. Around 4 pm the summer showers start, and the city can become a little of a chaos in terms of traffic. So that’s a good time to be inside of a bar and wait until it’s done. 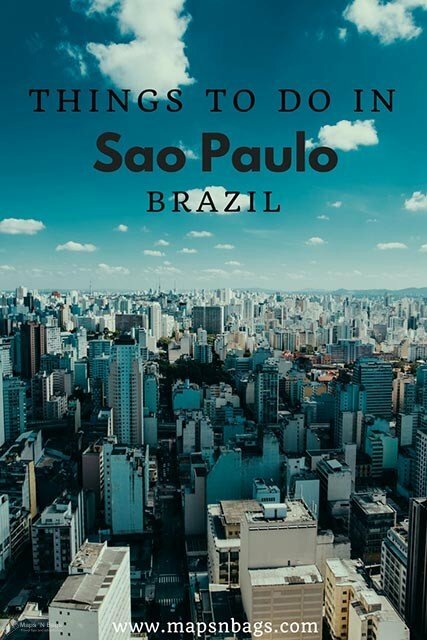 Sao Paulo is huge, so there are many more things to do in the city. If you’re staying longer and want more tips, just drop your questions below and I can give some more pieces of advice. And for those who have already been in the city: what do you think about Sao Paulo? How was your experience there? I’m really curious about your time in Brazil! This entry was posted in Brazil and tagged Modern City, Things to do. Going there again this December. Hope you can go soon too! Amazing post! San Paulo looks so vibrant. My husband’s best friend lived here for a few years and absolutely loved it. We’ve been wanting to take a trip here one of these days! Thanks for sharing! Aw, thank you, Kiley! I miss Sao Paulo too, especially the food! Hope you can make it there soon! When I picture Sao Paulo I’d never imagine it to look like this!! So fascinating how big it is – way more people than London and so fascinating how much Italians there are! Fab post – definitely one for the bucket list! I know, I’ve heard that from many people actually, but we are talking about the biggest city in the southern hemisphere, so yeah…it’s huge! There are a lot of good Italian restaurants in Sao Paulo, that’s for sure! Thanks, Lauren!! Brazil is one of the stops on my trip around the world. 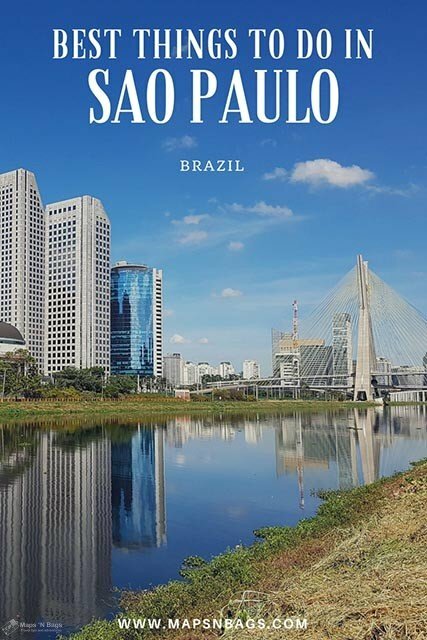 After reading your guide I think that Sao Paulo would be a great place to get to know the real Brazil. I would be especially interested in visiting some of the markets and also cathedrals and churches. Hi Lena, if you’re going to Brazil you definitely have to stop by Sao Paulo! The city isn’t so beautiful as Rio de Janeiro, but there is a lot to see and do. It’s indeed a place to learn a bit about the Brazilian culture! Happy travels! Hi Tere, thanks for your comment! I hope you enjoyed your trip to Sao Paulo! !